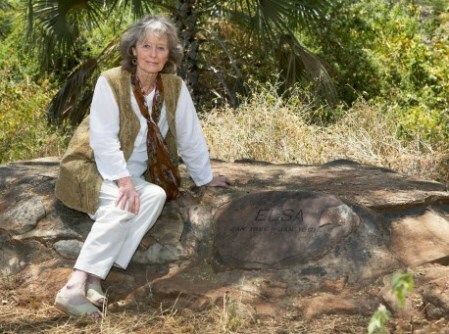 Virginia McKenna OBE, actress, author and wildlife campaigner is possibly best known for playing Joy Adamson in the film Born Free, tracing the story of the Adamsons and the lion Elsa. Born Free is celebrating its 30th anniversary this year. Virginia, this year Born Free is celebrating it's 30th anniversary. What are your proudest achievements? I don't think I ever think of things in that way. Projects we do, rescues we undertake that succeed are rejoiced in. What I personally feel is gratitude. That we have been able to give animals a better life. Rescuing some from existences of loneliness and often shocking conditions is always a cause for rejoicing. And, also, the fact that 'wild animals in captivity' is now an issue is immensely heartening. Not that many years ago it was just taken for granted! How has Kenya changed since you were filming Born Free and what are your fondest memories of the country and its people? Of course many things have changed since we filmed there in 1964. More people, tarmac instead of dirt roads in many areas, more fences, more buildings. But some things remain the same. The warmth and hospitable welcome of the people, the ever-changing cloud patterns, the breath-taking beauty of the hills and mountains, the cool mystery of forests, the glimpses of animals and birds, the calm brought to you by sitting quietly by a river or watching a sunset. You have kept your links with Elsa's Kopje and Joy's Camp. What would you advise guests to ask when booking a safari to ensure that they are helping with conservation efforts? It is always a good idea to check that the travel company is as 'green' as possible. That their 'footprint' is a gentle one, that perhaps they support a local school or community. 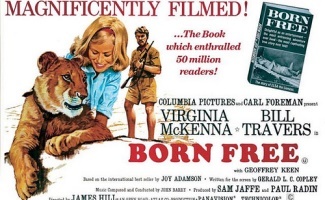 What is your favourite memory from filming the film Born Free? If I am honest my most treasured memories of that time are walking with a lion (sometimes two) with my husband Bill, and George Adamson on the plains near Naro Moru in the early morning. About two hours of sharing that clear cool light, watching the lions run and chase, and sometimes ambush us ? and then at lunchtime, sharing a picnic out on the plains with whichever lion we would film with that afternoon. These were the personal moments that no one can ever spoil ? as they were deeply important in creating enduring trust between us and the animals. What are your packing recommendations when travelling on safari? A bottle of water, a hat, a bird book, a note book, a camera (but don't be a prisoner of it!). These items, of course, are for driving in the park. But in the suitcase I suggest cotton clothes (no synthetics) socks - especially for the evening as the mosquitos love ankles. And, if you are visiting a school - the children love biro pens, maybe a blow-up football. Above all, go with an open mind, forget the BIG FIVE! You are leading some Born Free 30th anniversary trips in October with leading safari specialists Chedi & Peacock - what are you most looking forward to? What I look forward to most is travelling to a country I love very much with some people I have travelled with before, and are now friends; and the opportunity to make new friends. To be far from the hustle of life and be in the bush, glimpsing the animals, seeing old friends who work at the camps we are staying in. Perhaps most of all, driving to the grave of Elsa the lioness in Meru National Park and sitting quietly nearby, sharing memories of how the Born Free story began; we sit and have a bush breakfast prepared by the wonderful team at Elsa's Kopje. The place which, apart from my own home, means more to me than anywhere in the world. How has the world of animal conservation changed in the last 30 years, are we facing different threats to wildlife? We are, indeed, facing many new and increasing threats to wildlife since I first went to Kenya in 1964. The current and most striking are the poaching of elephants and rhino, the killing of lions and vultures, the kidnapping of primates and baby cheetah, the trapping of birds. The horrors of the illegal ivory and rhino horn trade are well-known, but appear to be flourishing in spite of strenuous attempts to catch the poachers, protect the animals, educate the misguided thousands who crave the ivory trinket or the powdered rhino horn's so-called 'cure'. The poisoning of lions is increasing as their own wild environment diminishes. As our human population burgeons, the wild becomes more grazing land for cattle and goats. The survival conflict needs urgent attention but it is complicated, and yet another challenge facing governments - who often have their own priorities. But many countries rely on wildlife viewing to attract visitors. Will they continue to come if the animals have gone? How can people get more involved in the Born Free charity? We hope people will want to know more about what we do - you can go online at www.bornfree.org.uk and read about our involvement in fighting the illegal wildlife trade, keeping primates as pets, rescuing animals, keeping up the pressure to ban wild animals in circuses, trophy hunting and dolphins in 'entertainment', and helping schools in Africa that are near the wildlife projects we support. We value every member and are grateful for their support however small or great. There are still a few limited spaces on the Born Free anniversary tour with Virginia McKenna travelling from the 22 to 31 October where Virginia will host the group at Elsa's Kopje. The fully hosted group is now sold out. Cost is US$6,345 per person and includes full board at all three camps, charter and scheduled flights within Kenya, airport and airstrip transfers, conservation and park fees, game drives in 4×4 vehicles and membership to the flying doctors society.